Perhaps our education system has failed. If it has, it’s not because students aren’t passing tests, or because they’re dropping out, or because they’re not “college and career ready,” but because so-called “educated” people, en masse, have given away their minds to the technocratic powers of our time. The conversation is manufactured. It’s amazing. We no longer trust ourselves. We no longer trust our neighbors, our community members. Somehow, even if we know our child’s teachers to be wonderful, we don’t trust teachers in general. We hold a negative opinion of the entire profession we haven’t met, even though the direct evidence we have is to the contrary. That’s scary. I don’t see this changing any time soon, do you? I don’t see the critical mass needed. There isn’t enough pain yet for most people to care. I don’t know, I think about these things often. There is not enough pain because there is enough money to sedate people before inflicting the pain (http://goo.gl/QNUma). I do wonder if getting news from the internet sedates people. When everyone received a newspaper you had to read about stuff that you might not like, no way of avoiding it. If you were going to spend 20 minutes with breakfast reading paper, you read everything. Now you can easily click off of anything that does not make you feel safe. You eb white quote is spot on…most people choose fun. The worse off people are, more likely to choose fun? Neat study taht showed when times are tough people chose easiest music to listen to. Bad times = simple pop music. Better economy is the more complicated the music is. Just did more research on how this is going down in my state…at what point do I get told that I’ve been living in the Matrix? All of this information gathering and slight of hand stuff is feeling awfully Orwellian, but your point about information sedation is much more like something from Huxley. It’s the perfect dystopian storm! Correct…they do not sell. Sell being the key word. My oil company does not sell my data. My oil company bought a security firm. They gave my data to the security firm. The security firm wanted to develop a marketing plan, they gave my data to an advertising agency to use in the development of the plan…The advertising agency decided to pool my local data with national data so that an international companies moving into America could design a products to “meet” my needs. At no point was my data sold. You have to go so far down the rabbit hole to discover the truth…. My thoughts exactly. I am currently in discussion with the school guidance counselor about opting my child out of using it. The option she gave is to have him write it down on paper rather than use the computer. They will then “file” it away. I could not believe that this was being touted as a favorable program. Then I began to wonder about the “Institute of Education Sciences” that was funding this. What kind of private organization would support this? 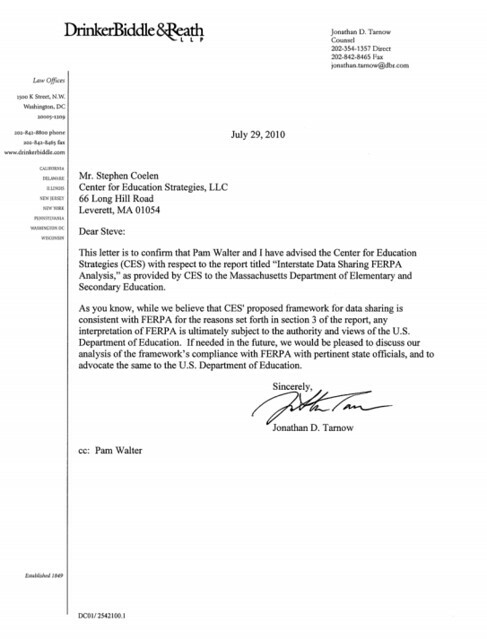 Lo and behold, it’s not private — it’s an “arm” of the U.S. Department of Education. My next thought was, if they are doing this here, they are doing this in all the states. Sure enough, that’s what I’ve found. And that’s got me digging deeper and caused me to find this blog entry. That we are creating a national id system and using it to collect individual data on every student in the country is astonishing. That this is flying under the radar with limited public awareness is astounding. 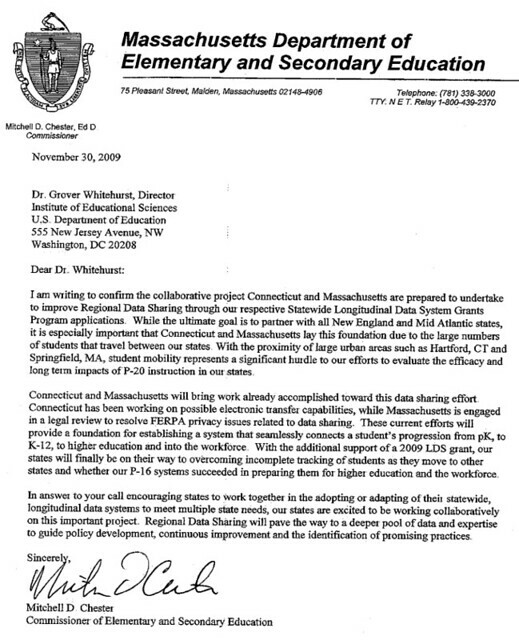 http://ies.ed.gov/funding/pdf/2012_84372.pdf , the “unique statewide student identifier” will “not permit a student to be individually identified by users of the system (except as allowed by Federal and State law)” (Page 2 of the pdf). That is so reassuring — only if allowed by federal or state law. This program makes me want to quit my job and dedicate the rest of my life to getting this program abolished and having all data collected by it scrubbed of individual information (if not simply erased). Many years later and and Im just finding this article now because in my kids PRIVATE school the kids are being asked to use Navuance and FILL out their surveys. You probably understand now in 2016 almost three years later that the point of all this data collection is School To Work Tracking. The collected data on kids is not to sell to them although that will be a side benny for some but to get a realtime snapshot of their abilities both cognitive and especially non cognitive to squeeze them in to crony connected regional economy jobs. The new ESSA bill and The WIOA bill passed in 2014, and which went into effect in 2015 to be in working order in most states join 2016 is all part of this plan to control citizens movement, behaviors and job choices cradle to grave. FOX Business NEWS had an interesting article- Are Schools Putting Your Child’s Information At Risk?. Regardless of what you think about FOX, the points that are brought up are very interesting..Naviance trains college counselors- they have universities and colleges that are affiliated schools- Naviance slow is dabbling in the student loan business- guess who will be marketing your child about loans? This scam and the College Board scam- I’m sure Bernie Madoff is rolling in grave wondering why he didn’t think of it. My child attends a great Charter school- if I ask questions, I am viewed as offensive. This is a disgusting system- with no beginning and no ending in sight. 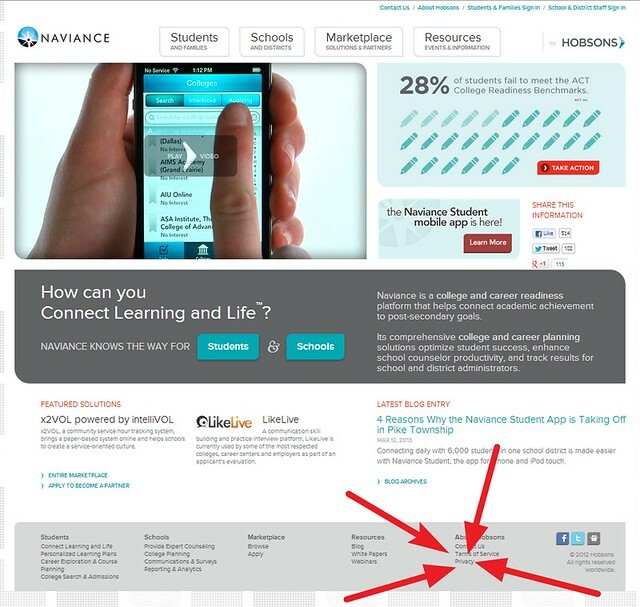 Would love to learn what you have learned while navigating the Naviance railroad with your school.